Take a look below at our Checkatrade Reviews for our respective branches. Having five quotes for replacement windows, and having viewed Mike&apos;s plain speaking informative video on your website, we decided to measure our windows and obtain a quote (Tradeframe was the only company who I could find who offers this excellent service) via the website. The result was very encouraging and surprising(actually nearly less than £4000 than one of the quotes, the spec was the same, "A" rated windows etc). We visited Tradeframe&apos;s showroom, and had a warm welcome from Charlotte and Mike. Mike showed us the windows and styles in the flesh, and explained everything we needed to know without and salesman&apos;s "flannel". We were very pleased and decided to place an order there and then. Mike checked my measurements and his quote was very close to what I had obtained via the web. From then on Charlotte kept us informed as to dates etc for Mike to visit to re-check figures, to Derek the surveyor&apos;s visit, and to date for windows and installation. Everything went forward like clockwork, the installation team was very efficient, with minimal mess or disruption to ourselves. We are very played with our new windows, and it was very refreshing to deal with a very professional and friendly company. We would have no hesitation in reccomending Tradeframe.com and wish them all more sucess in the future. They are a professional company without the usual 'hard sell' or gimmicks, so what you see is what you get. They were courteous and professional from the initial contact to the very end and I would highly recommend them. As an added bonus their web site contains the prices of each item so you can see at a glance what you are likely to pay. I wish to thank Tradeframe.Com for the excellent work it done fitting my replacement windows last week. 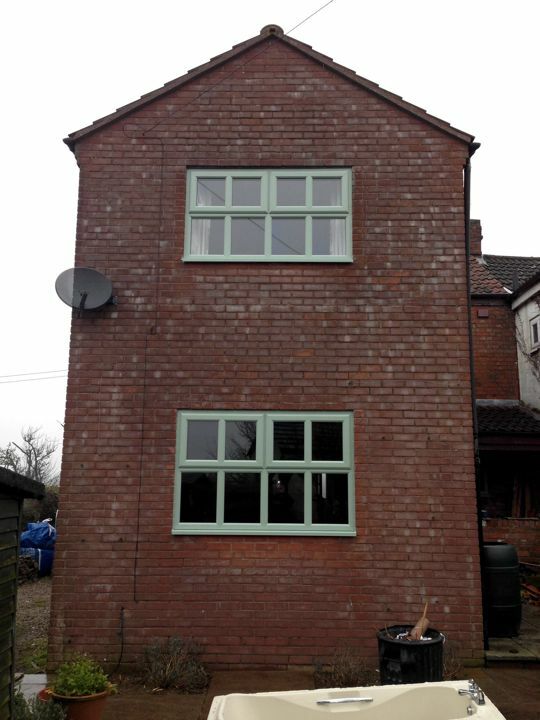 We are so pleased with the both the quality and looks of the new windows.and I would also like to thank the fitters, I could not have ask for better. I would fully recommend your company. 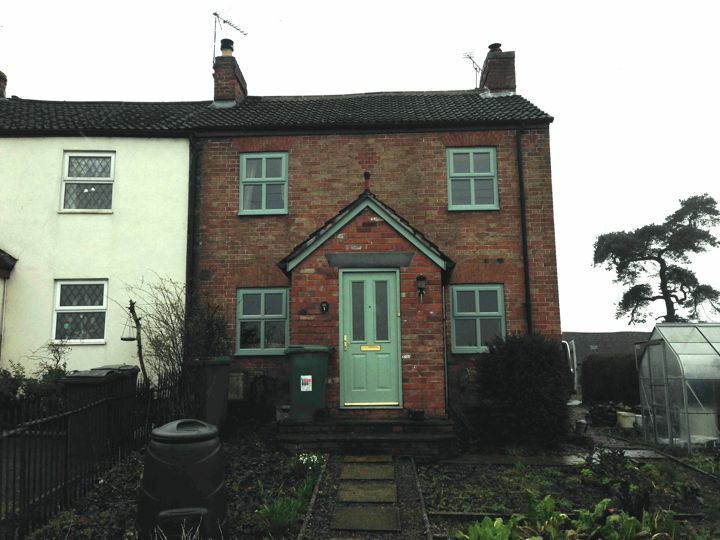 The installation of our new back door took place on Monday 11th November 2013 and we would like to say that we are very pleased with the build of the door and frame and the workmanship of your fitter, Matt Andrew. Looking forward to hearing from you. I am just writing to express our sincere thanks as Janet and I were extremely pleased with the black UPVC windows and new front door your guys installed in our property. They are a really big improvement. We would not hesitate to recommend Tradeframe as you were very helpful, competitively priced and did an excellent job. Please pass our thanks on to your fitters who worked flat out, were very courteous and careful with the fitting and left everything clean and tidy. We were amazed how carefully they removed the old windows and installed the new ones without even affecting the interior decor around the window reveals! Great job. The workmen proved very efficient and when finished took all the old windows for disposal and left the place clean and tidy. Thank you all for making my house 'good looking' once again, thank you also for trading like a business company rather than having special discounts, clearance lines, two for one and treating me as a cash cow. Rita Stubbs here, I have been meaning to email and thank Barry and Tradeframe for the excellent service we received from him last Friday when he came to adjust three of our windows. We really do appreciate the after service we have received. Barry is a very knowledgeable and personable member of your team. Thank you again. Rita & Tony Stubbs, Bourne. You often find that people only put pen to paper to complain about something, but on this occasion I felt I need to do it to thank you. Can I say how immensely impressed I am with your company. I have several properties and over the years have used many companies to replace windows. Your company is the only one I know that doesn't harrass you with sales representatives that always start at a high price and then after a lot of haggling, give you a special deal and drop the price expecting you to sign up there and then. Until I found your company this has been the norm with every company. I found your company through Google and was able to put in the window and door dimensions I wanted and then the calculator told me how much it was going to cost. The price that came back actually shocked me because it was thousands below any other price I had been given, so I expected things to change when you visited to measure up. You arrived at the time agreed and I was really surprised that after your measurements and giving me much invaluable advice the final price was exactly the same as I had been given from your website. Your fitters did a fantastic job and we are more than pleased with the product and the final installation. I would recommend you to anybody, thank you so much , I am so pleased I found you, I will be definitely be using you again. We were very pleased with the fitters who carried out this work, very clean workers clearing everything up after them. We will certainly use your company again, if needed and recommend you to anyone needing your products. Yours Faithfully, Mrs E.A King. Marston Moreteyne, Bedfordshire. Just a short note to thank you so very much for providing such a fantastic service. From start to finish, the whole process was very professional and made very easy and uncomplicated for us. We really appreciate the hassle free experience, especially given the timescale and are delighted with the windows, which were fitted yesterday (as promised). As we told you, we do hope to start replacing windows in the main house, possibly next year. Without doubt we will be back on the phone to you then! Many thanks again and a pleasure to do business with Tradeframe.com. Mr & Mrs Simpson, Warmington, Peterborough. Thank you for the excellent work carried out by yourself from the time I pop into your Cheltenham showroom to the time you completed my 10 windows & 2 doors. We had two great fitters who did not stop from the time they arrived until they went home, if they had to move anything they would put it back in its place. Would I use Tradeframe again YES and would tell friends and family what a great job they do. I would like to record my thanks for an excellent job done with the recent installation of my front door. Everything that you promised was supplied and delivered when I was promised it would be. 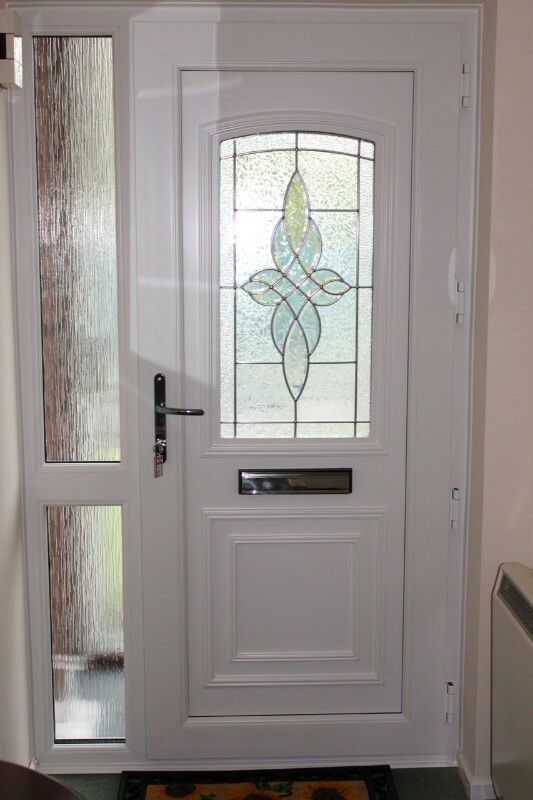 The quality of the door is first class and the two fitters that installed the door were excellent, their work was not only of a very high standard but they were also very clean and tidy and removed all rubbish. The two minor issues that I mentioned to you were resolved by yourself very promptly, and I must say that you personally provided an excellent and extremely efficient service. You always telephoned be back when you promised to, and I don't believe anyone could have been more conciencious than yourself. Once again many thanks, and please feel free to use me as a recommendation at any time. We have now completed my mother&apos;s home to virtually a new flat, of which the windows have given the final touch and looks fabulous. Thank you again for such a superb installation. We have just had fitted new front door, back door and patio doors and would like to thank Mike from Cheltenham and the two lads who did the fitting, an excellent job and would definitely use Tradeframe again - thanks for all your help. The installation was completed a couple of weeks ago and we are very happy with your usual high quality. They have made a massive improvement to the property. "I would like to take this opportunity to thank you for your excellent service, when you fitted a new front door in my home. Not only did you help with the choice, the quality of the work was outstanding. I was most impressed with the after service you provided, returning to check if I was coping with the lock, after sustaining an injury to my right arm. I am delighted with the door & am pleased to tell you, it has been admired by all my family & friends." "Just a report back on our window fitting yesterday, the lads were working here until dark! Just wanted to say that the gang worked like troopers, were clean and tidy throughout, taking much care over their work. On this morning's daylight inspection outside - it is a job to behold. I couldn't have wished for a better job making good the render around the windows. They get 10/10 without a shadow of doubt." "I have spent the day down in Huntingdon and Nigel and his colleague have done a fantastic job. Literally transformed the place. The job on the sash windows in particular has been very skillful indeed. May I just say how impressed I am with this job. The product, the finish, the friendly staff... it has been a pleasure." "Colin did a super job fitting my door & frame. He was polite & professional with a good attitude." "Hi Adam. Just been to the cottage, and they have done a really good job, so thank them very much! Take care and thanks for all your help. " 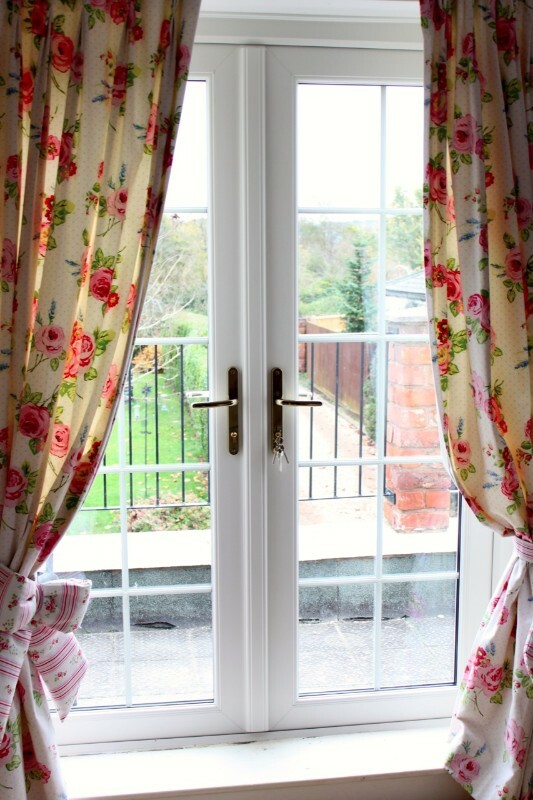 "I would like to pass on my appreciation for the work that was carried by your fitters and the quality of the installation of our two bay windows on the 15th & 16th of March 2012, we are happy to give our recommendation to your company for the service we have received. Thankyou very much. " 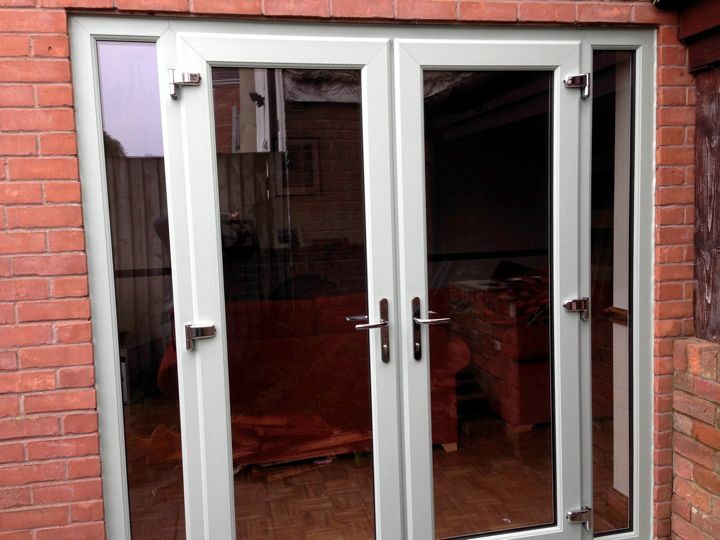 "Very pleased with recent installation,the product and the price. The fitting team of Nigel & Matt were spot on leaving everything spotless. Not only were we impressed by product & service I have forwarded two referals for you from interested neighbours. These I have sent via link on page. Regards, John & Freda Larkin." "Hi Tradeframe people, I would just like to say what a great service and product you guys provide, from order to fit: about three weeks and everything went with no problems whatsoever and at an affordable cost with no hidden extras. Please give our thanks to the fitting team who did a first class job, respected our home and left no mess at all, well done guys. Best Regards & Many Thanks, Mr & Mrs Larratt "